Home > Fire Safety & EMS > Fire Safety Evacuation Supplies & Tools > Fire Extinguisher Cabinets & Covers > Horizontal Fire Extinguisher Decal For Cabinets, 2 1/4" x 7 1/8"
Home > Fire Safety & EMS > Fire Extinguisher Cabinets & Covers > Horizontal Fire Extinguisher Decal For Cabinets, 2 1/4" x 7 1/8"
Home > Fire Extinguisher Cabinets & Covers > Horizontal Fire Extinguisher Decal For Cabinets, 2 1/4" x 7 1/8"
Home > Fire Safety & EMS > Fire Safety Evacuation Supplies & Tools > Fire Extinguisher Arrow Signs > Horizontal Fire Extinguisher Decal For Cabinets, 2 1/4" x 7 1/8"
Home > Fire Safety & EMS > Fire Extinguisher Arrow Signs > Horizontal Fire Extinguisher Decal For Cabinets, 2 1/4" x 7 1/8"
Home > Fire Extinguisher Arrow Signs > Horizontal Fire Extinguisher Decal For Cabinets, 2 1/4" x 7 1/8"
Horizontal Fire Extinguisher Decal For Cabinets, 2 1/4" x 7 1/8"
Mount on a clean and dry plastic or metal cabinets. Red lettering on clear background. 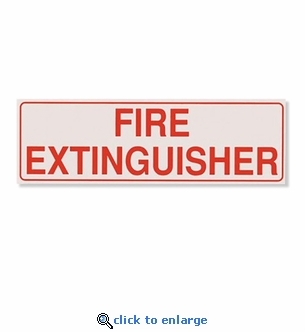 Vertical Fire Extinguisher Decal Label For Cabinet 19" x 2"